The Sokolow Theatre/Dance Ensemble was pleased to present a rare collection of modern dance works, ranging from the groundbreaking pioneers of modern dance to contemporary artists whose artistic lineage is a direct continuation of modern dance tradition. 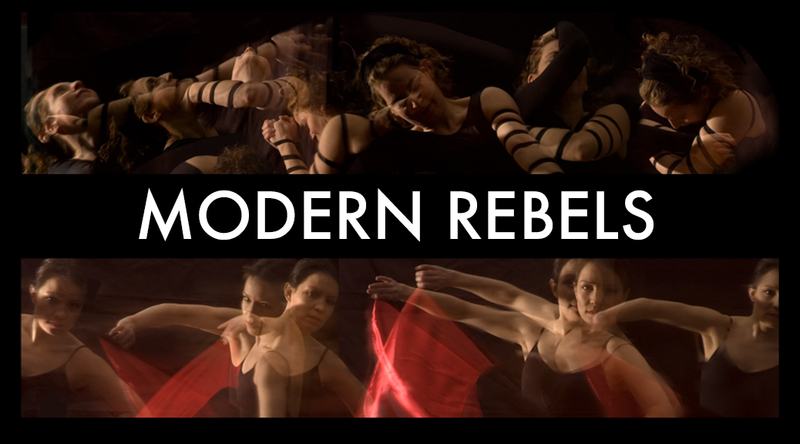 Performed by members of the Sokolow Theatre/Dance Ensemble joined by eminent guest artists, Modern Rebels included works by Mary Wigman, Isadora Duncan, Ruth Saint Denis, Doris Humphrey, Anna Sokolow, Jane Dudley, Talley Beatty, Rae Ballard, Stanley Love, and Jaime Blanc. The full evening of modern dance classics brought together the rebellious spirit of the early modern dance choreographers and the fierce dedication of the artists who keep their legacies vital. Guest artists included: Rae Ballard, Clarence Brooks, Jennifer Conley, Christine Dakin, Erica Dankmeyer, Sandra Kaufman, Martin Lofsnes, Meggi Sweeney-Smith, and Lisa Thurrell. With members of the Sokolow Theatre/Dance Ensemble: Eleanor Bunker, Samantha Geracht, Lauren Naslund, Francesca Todesco, and Luis Gabriel Zaragoza. Read our interview with guest artist, former principal dancer and Artistic Director Laureate of the Martha Graham Dance Company, Christine Dakin.